Chinese smartphone manufacturer Cubot is looking for designers who can design their mascot and they have just shouted that out of their facebook page asking fans to submit their entries. The winner will et phone from the firm for the next one year, and yes all for free. The designer gets phones for free and he can also provide his feedback and suggestions to improve the phones. There are 5 Good Design Awards, and if your design is selected for this award, you will win a Cubot S500 smartphone. 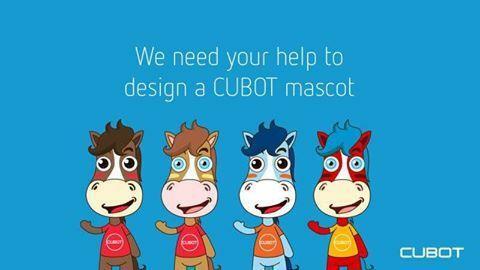 Finally, 50 lucky winners who will like the Cubot Facebook page and the post will get the Cubot mascot. The smartphone maker also made it clear that they are looking for a mascot design, like some sort of animal or something similar to that. Here’s what they mentioned on their Facebook page. So, if you’re an aspiring designer and have a love for smartphones, then try out. Who knows? You may get lucky enough. Previous articleAndroid N: Best Features and Improvements!